Fast growing retail industry filled with crowded markets, monotonous electronic chains and absent music outlets, comes an innovative concept store that combines fashion, technology and entertainment. Headphone Zone is India’s first exclusive online store for headphones, earphones and personal audio devices featuring the world’s finest headphones from brands renowned for their sound, design & style. 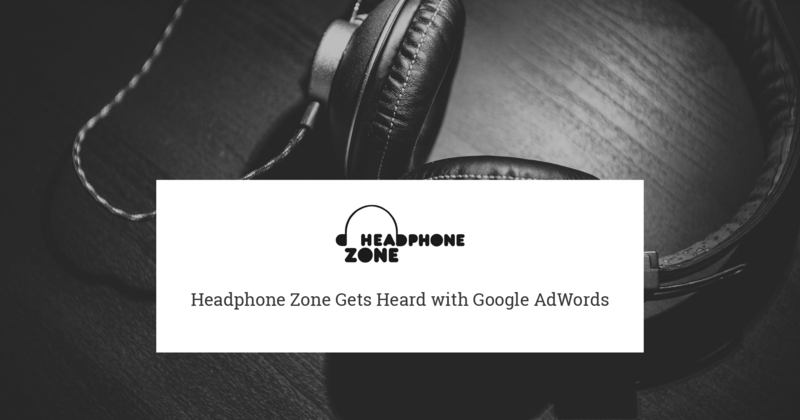 As with all their plans, Headphone Zone was clear about wanting to deploy Google AdWords in order to meet their objectives of scaling up, of reaching out to users across India. A chance encounter got Raghav acquainted with OnlineSales.ai, a Google Premier Partner. There seemed to be an immediate meeting of the minds and OnlineSales.ai deep dived into creating an AdWords campaign to meet the desired objectives. By implementing Catalogue enhancements, that is managing ads across multi screens, delivered even better results for PLA campaigns. A Search campaign with an emphasis on cost per conversion Search helped to target consumers at their exact point of purchase. To deliver on reduced CPC, the campaign was optimized by negating non-performing keywords and assigning optimal bids on performing keywords. A tightly-themed Search campaigns was launched with strict segmentation of keywords by match types. "The road ahead is really defined by the attachment rate, which is how many people in India who have a smart phone in India have a high quality headphone too, to listen tomusic. Currently the attachment rate of mobile phone to headphone in India is at 0.1 percent while compared to Japan, which is at 13 percent. As this number continues to rise over the next one year, we are going to continue to build our capability to cater to this appetite for music."